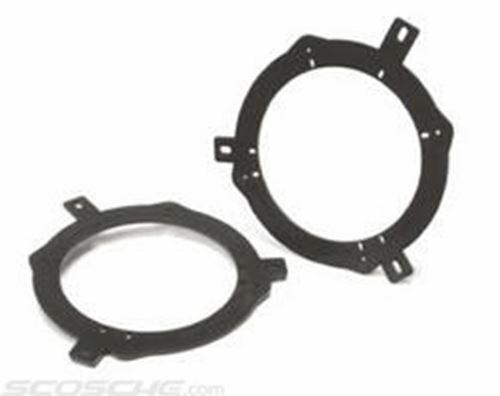 These Scosche SAC-656 brackets allow you to install select 5-1/4" or 6-1/2" speakers into the speaker openings located in your 1980-up vehicle. These multi-purpose brackets fit into most vehicles, but you may have to make slight modifications in some vehicles, like trimming plastic or drilling new screw holes. Important Note: Some 6-1/2" speakers use a larger frame and require a larger cutout. We call these 6-3/4" speakers, and they won't fit in this bracket. This bracket will only work with speakers that require a cutout diameter of 5-1/8" or less.